Grant Rohloff was born in Hollywood, California in 1935 and started surfing in the early 50’s. Grant’s love of surfing and fascination with watching other surfers led him first to a brief apprenticeship with John Severson (Surfer Magazine founder/and surf filmmaker) and eventually to his own career as a still photographer and surf filmmaker. Grant’s first project, titled appropriately “The Wonderful World Of Surfing” was released in 1960 and was followed by 12 other surf movies including the highly acclaimed “Men Who Ride Mountains”. “Grant was ahead of his time and way ahead of the pack back in the 60’s,” notes, C.R. Stecyk III (photographer, writer). The posters Grant used for promoting these movies were commonly the photos he had taken during actual filming sessions. His films managed to capture not only the serious and great business of surfing, but also the humorous, real-life “off times” of the surfers. Rohloff always began his movies with a comic scene (in keeping to his mission for his work) – to inform and entertain. To him, film making and surfing were so much more than a vocation; they were a way of life. CROOKS & CASTLES: HOW TO MAKE IT IN L.A. from Crooks & Castles on Vimeo. BTW - remember Freshjive's shot at Supreme and The Hundreds last season? Well they are back up to their old tricks - this time taking aim at the Crooks by flipping the hat they made as part of their Holiday 09 line-up in to a shirt (you can find it yourself online). I think everyone has given Freshjive a pass for these shots, aside from Stussy in 2005, yeah? Kid Cudi - I was always a fan of the brand but it just wasn’t something I could afford back then. I remember working there my first couple of weeks in the same uniform cause I didn’t own anything prior to being hired. So it was a dream come true to be able to work at the store I dreamed of shopping in one day. Over a couple of years I might have applied at the store 3 or 4 times before the last attempt that got me hired. I fell in love with BAPE because of their color selection and artwork. I love the style of their cartoons. Ok, this is just wierd - back to back posts about people who died of AIDS? Guess so. Anyways, this year marks the 20th anniversary of Keith Harings passing. For those who don't know, Keith Haring is synonymous with the downtown New York art scene of the 1980's. His artwork-with its simple, bold lines and dynamic figures in motion-filtered in to the world's consciousness and is still instantly recognizable, twenty years after his death. For those participating in the Aids Walk this year, (and if you raise at least $50), you get this sick limited edition(obviously) Obey designed shirt paying homage to the legendary artist. 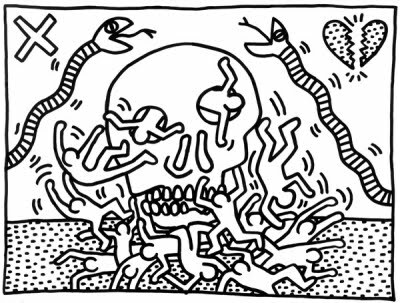 If you can't make it out to New York, check out the Keith Haring Pop Shop - lot of good finds there, from books, to shirts, to random household accessories. 15 year since the Godfather of Gangsta Rap passed. 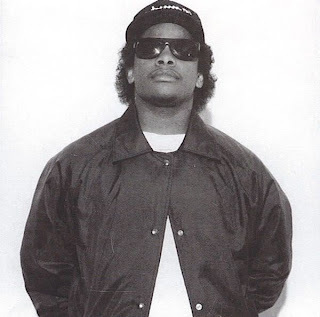 To honor his legacy, Complex shows love with a How to Dress Like Eazy-E piece, and UndrCrwn comes out with a new tribute shirt. Reminisce. OK - wow. Wildest dreams have been answered. Best of Soul Train - 9 DVD Box Set, is up for pre-sale at TIME. Um, are you seeing those moves up there? Are you seeing how each person - all at the same 'club' on the same day, has a completely different swag/style? WHY DON'T WE SEE THAT TODAY? Everyone is chasing trends, and no one is setting them, that's why. Dancing, having fun, feeling good, and looking good. That's what it's all about. Drew - you pretty much called this one out the gate. 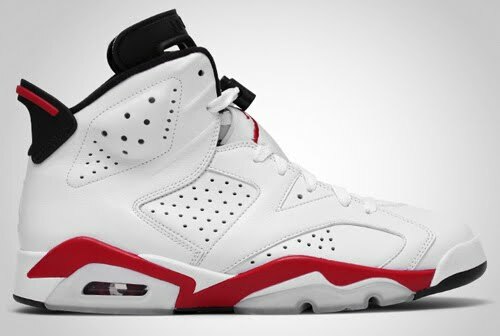 Kicks on Fire just gave us a friendly reminder that the Jordan VI's (Red/White colorway) are dropping June 12th this year. In my opinion, this is one of the cleanest pair of AJ's(definitely top 5), and, without the hype that comes with certain drops (think: Space Jam's). 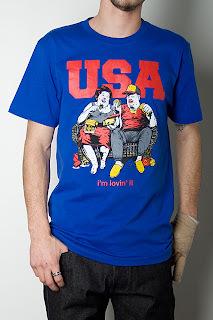 CLASS,a new brand to the scene best known for their Forrest Gump inspired shirts, come with their new mascot Tee. Scoop one up now at DG or at CLASS' homepage. Meet Mckenzie Freshington. He is our official mascot. He nagged us at the office to make a shirt with him on it, but we never took him serious. BIG MISTAKE! This tee came out extra ill. Mckenzie, we apologize. Show him your love, and cop this one. More colorways coming soon. CLASS ALL DAY! Thom Browne was born in 1965 and launched his eponymous men's wear label in 2001, in New York City. Thom Browne is widely recognized as one of the most influential menswear designers of the past decade. Thom Browne worked with Supreme this season to produce an exclusive oxford shirt that will be available in three colors. 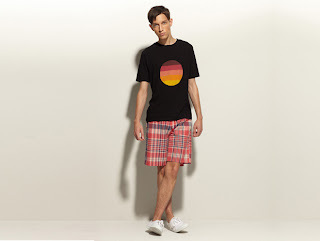 APC, aka Your Favorite Brand's Favorite Brand, just dropped a new "Madras" collection in time for Spring/Summer 2010. As explained @ the 'beast, "Retaining a relaxed, clean aesthetic indicative of Western European style, the smart-casual range’s stand out feature is the use of the unique “Madras check” pattern which incorporates asymmetrically placed stripes, which differ in thickness." Available online now at APC's homepage. Don't forget, listed prices are in Euro's. Freshjive dropped off Part II of the Spring line-up, and its full of more quality designs. 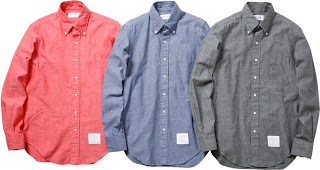 Aside from the run of edgy and somewhat inappropriate shirts, they are also dropping some clean cut'n'sew pieces. Check the full spread here. Black denim covers the forefoot, midfoot and heel foxing. 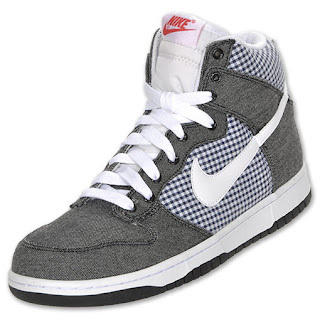 Blue and white gingham print fills in the remainder of the upper. 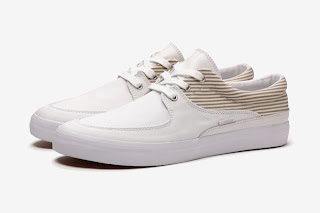 The white laces, which match the tongue and midsole, are held in place with metal eyelets. Finally, a red logo on the tongue tag adds an additional splash of color. Better yet, these are a general release, and are available now at Finish Line. 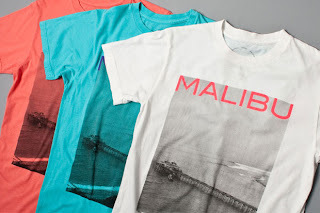 The Hundreds are back at it with part II of their Spring drop for 2010. This is why I'm a fan of this brand. 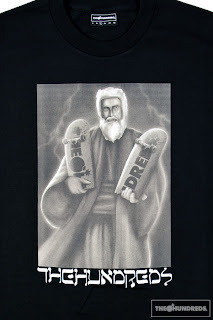 Strong graphics, clever designs, skateboard roots. They don't always need off the wall collabs or rely on multiple incarnations of their Adam Bomb logo to get their point across. Check the line-up here. In my eyes, the Nike Air Maxim is the perfect shoe for where style meets performance. Obviously the style cues come from the legendary Air Max I, but the technology they updated the shoe with is just crazy (read below). This is the first year Nike is allowing the shoe to go along the 'Sportswear' route and get creative with the mark-ups, as seen with the upcoming Attack Pack, available for pre-order now at Eastbay. Looks like its time to retire the old 360's and get a new pair of runners to hit the streets with. Specs from Eastbay:Charged with updating a classic Nike design – 1987's Air Max 1 – the Nike Sportswear design team dialed up technological innovations and remastered the performance and aesthetic of the original style to create the Nike Air Maxim 1. The focus was put on lightweight stability and cushioning. The result was a staggering 66% weight reduction from the original, with the Air Maxim coming in at a mere 10.1 ounces. This dramatic weight reduction can be attributed to key features: Flywire technology, which drastically reduces weight while creating an upper that moves with the foot; a three-piece injected Phylon™ midsole that optimizes cushioning and support and the use of a lightweight, screenprinted Swoosh design. To make sure its heritage remains true, the Air Maxim 1 still features its trademark suede heel counter. The upper on these Maxim 1s includes nylon, polyurethane and either pony hair or leather. The midsole features an Air-Sole® unit in the heel for cushioning and the rubber sole offers durability and traction. B.O.B. is a bonafide star,nothin' new or groundbreaking there. 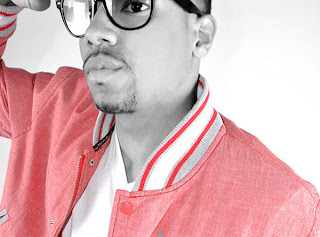 See above for the visuals to go along with his latest crossover hit. While you are waiting for his debut album to drop, check out this nice (free) mixtape that Shake from 2Dopeboyz put together compiling all of B.O.B's best features. LOL at Crook bustin' out the Coogi sweater for the B.I.G. tribute he did at his show with Royce 5'9 at SOB's on March 9th. So I stumbled on this shirt while watching the Casey Veggies video (see below) - and new instantly it was a must-cop. After researchin' on the net, found that its from a brand called "The 5th Column". 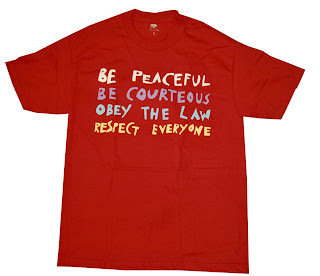 Looking through their catalog, this is one of the more bright and lively shirts of the collection (although still political - as seen in the Malcolm X quote) - with the rest of the collection being darker, both in color and theme (full of religious, political, and secret society imagery). All in all, I'm impressed with the brand - and will definitely be following their products in the future. For more info, check out The 5th Column's website. By now, the 'Oh Snaps... that's tight!' faithful know that when it comes to kicks, my heart lies with the Nike Air Max 1's aka Tinker Hatfield's true masterpiece. 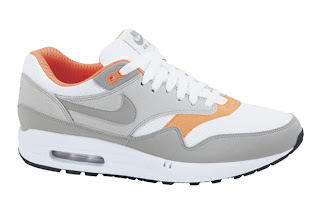 This grey/orange version is dropping as part of the spring collection in April 2010. See this video below for some history on Tinker Hatfield's inspiration for this classic shoe. Respect the Architect from www.club-construct.com on Vimeo. So, one thing I love about the Hundreds is they follow their hearts and do collabs that they are really into, and not neccessarily what creates the most hype. Do they sometimes fall short of popular interest? Yes. I think this Supermax collab is one that falls short. 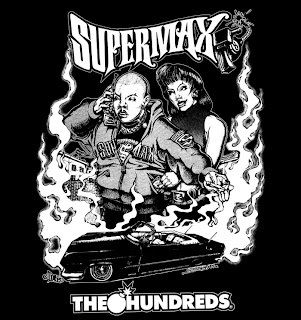 Granted Supermax has history - but in my opinion, this comes off a little to Rollin' Hard-esque.Read about the upcoming Hundreds x Supermax Collab Here collab here. Hyper-color G-shock, along with the collector's edition G-shock man, for $200. Obviously, numbers are limited, so act fast.